by Andrew Joseph, Features Editor. Photos by Kazuyoshi Ehara. Matt Friesen, Manufacturing Engineer, Post Foods Canada. It’s rare that a brick-and-mortar facility faithfully mirrors history of the product it manufacturers, but for one prominent processor of grains and nuts breakfast cereals, there’s really no place like home. 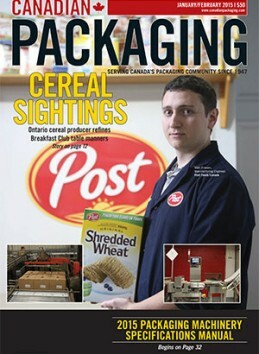 Situated near one of the world’s great natural wonders in Niagara Falls, the Post Foods Canada Inc. facility has been in operation for more than 100 years, producing multiple different popular cereal products—its main products that have been made in the Niagara Falls region for a long time. 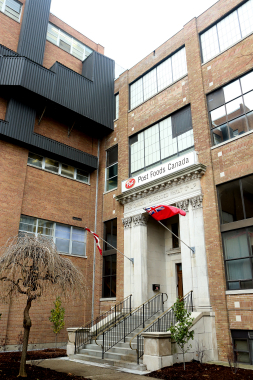 With Post Foods Canada headquartered in Toronto, and the global headquarters of Post Holdings Inc. located in St. Louis, Mo., the 200,000-square-foot facility of production and warehousing in Niagara Falls nowadays annually produces approximately 40 million pounds (18,144 metric tonnes) of cereal products. Built in 1904, the now 200,000-square-foot Post Foods facility in Niagara Falls, Ont., produces over 18 million metric tonnes of cereal every year. 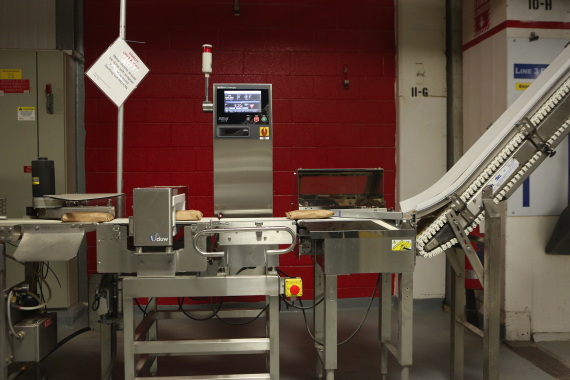 “This is the original Shredded Wheat facility in Canada, and we still produce the original large biscuits here,” Post Foods Canada manufacturing engineer Matt Friesen told Canadian Packaging magazine during a recent visit to the site. “In fact, we are the only remaining, formerly Nabisco-owned plant that still makes this product.”Along with Shredded Wheat, another breakfast cereal product, Shreddies, has also only been made at this location for over 75 years, he adds. Setting the foundation for 100-plus years of cereal history to come, in 1892 lawyer and inventor Henry Drushel Perky and his business partner and machinist William Henry Ford invented a machine that shred whole wheat to create Shredded Wheat. The idea for boiled wheat was original conceived by Perky to help alleviate his own bouts with chronic diarrhea. Originally, Perky and Ford wanted to just sell the machines, not the biscuits, but the shredded wheat biscuits proved to be too popular to ignore. After moving to Worcester, Ma. in 1895 with The Cereal Machine Company, he added the Shred­ded Wheat Company. Purchased via Canadian agent Abbey Packaging Equipment, Post Foods recently installed multiple machines of Anritsu Industrial Solutions’ SSV Series Checkweighers, a combination of checkweigher and metal detector units that eliminate accuracy issues on its Shredded Wheat lines. In 1904, the company added the Canadian Shredded Wheat Company at the current facility in Niagara Falls with Shredded Wheat also being launched in Canada, although the U.S. and Canadian companies were eventually sold to National Biscuit Company (Nabisco) in 1928. A contemporary of Perky and Ford, C.W. Post created his Postum cereal beverage in 1895 in the confines of a barn in Battle Creek, Michigan. Two years later, he debuted the iconic Grape-Nuts cereal, lauded as one of the first ready-to-eat cereals. Neither a grape or a nut, it is made from natural wheat and malted barley flour and contains the Post-invented maltose flavoring, created during the fermentation process, to create the cereal’s distinct nutty taste. In 1912, Post helped usher in the then-innovative marketing techniques such as extensive advertising, coupons, free samples, product demonstrations, plant tours and recipe booklets, all of which kept his products in the consumer’s sights. It worked wonders, as during the late 1920s the then-named Postum began acquiring other companies and expanding its product line to over 60 products—eventually changing its name to General Foods Corporation. 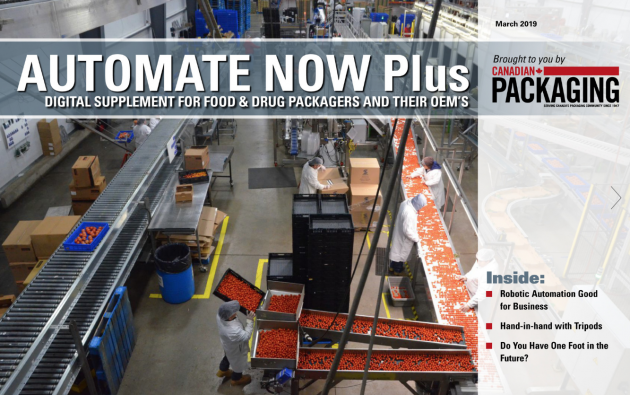 Utilizing the power of motors manufactured by SEW-Eurodrive, a SpanTech Canada conveyor system smoothly moves boxes of breakfast towards the end-of-line packaging area. The illustrious list of iconic cereals it introduced over the succeeding decades includes: Grape-Nuts Flakes (1932); Shreddies (1939), a Canadian brand; Sugar-Crisp (1949); Alpha-Bits (1958); Spoon Size Shredded Wheat (1961); Honeycomb (1965); Honey Bunches of Oats (1989) and other flavors; Cranberry Almond Crunch (1997); and the Canadian cereal Great Grains (2011). With its rich historical legacy fully assured, in 2012 Post Foods became an independent, publicly-traded company that recently launched exciting new flavors such as Granola Almond Crunch Shreddies and Honey Bunches of Oats Greek Yogurt cereal. 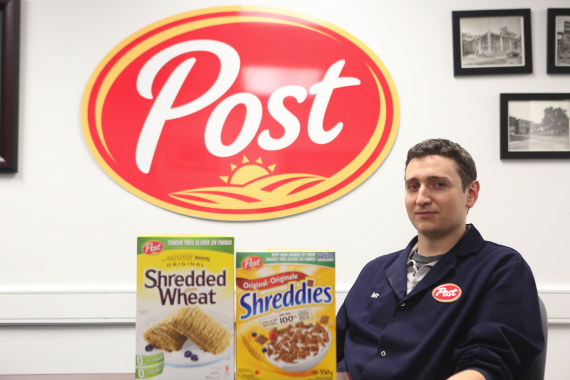 Despite the often-heard talk of Canadians eating healthier, the breakfast cereal market has in fact shrunk in recent years, but bucking the trend, Post has managed to expand its own market share in Canada. 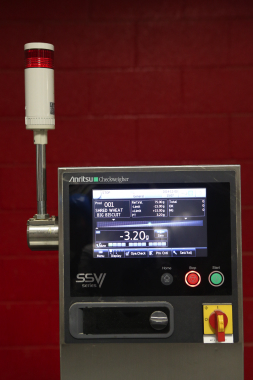 Part of the SSV Versatile Series, the Anritsu duw (dual wave) metal detection unit runs to frequencies simultaneously to check for ferrous and stainless steel contaminants on the Shredded Wheat line. “Throughout the long history of this facility, and the various ownership shifts, since 1904 Shredded Wheat—and Shreddies since 1939—have continued to be processed here at the very same plant,” states Friesen. According to Friesen, the plant currently produces more than its two iconic brands, providing a total of 35 different SKUs (stock-keeping units). The core grain ingredients utilized at the Niagara Falls plant include wheat, corn, rice, oats and other grains, that are cooked, tempered, formed, baked, finished with coating and additives, if necessary, and of course packaged. 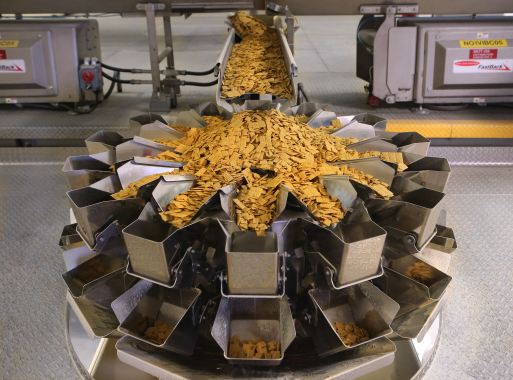 Crispy, sweet squares of multigrain cereal move through an Ishida weighscale manufactured by Heat and Control at the Post Foods Canada 200,000-square-foot plant in Niagara Falls. “It’s breakfast cereal, so our plant operation is not highly cyclical,” relates Friesen. “We run 24-hours-a-day with three shifts, five-days-a-week with full clean-ups every weekend,” says Friesen, adding the Niagara Falls facility is SQF Level 2-certified, a food safety program that incorporates the HACCP (Hazard Analysis Critical Control Point) approach to managing risks and hazards. “As well, we also recently became the first facility within the Post Foods family to achieve zero waste sent to the landfill,” explains Friesen. Friesen explains says that the plant operates four main processes, each with its own packaging line. Says Friesen: “There are three 200-foot (69.96 meters) long, single-pass tunnel ovens and one puffing/toasting system, with each oven utilizing natural ambient air cooling for the cereal products. 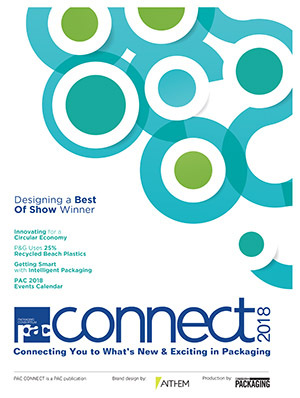 Post Foods utilizes the safe sealing expertise of the Nordson ProBlue thermal adhesive application systems when forming its cereal boxes on a Bosch Packaging Technology horizontal cartoner. It certainly makes for an interesting dynamic of solid, well-built processing equipment and a plethora of new and newer packaging machinery housed at the plant. “Everything we do here at the Niagara Falls plants is bag-in-box, except for Shredded Wheat,” explains Friesen. 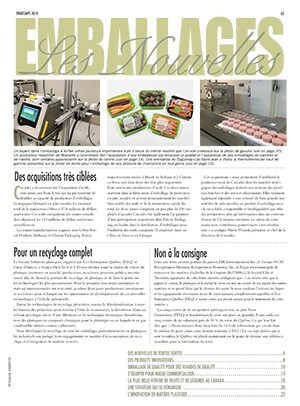 “It has its own unique system that involves the biscuits being packaged in groups of threes,” says Friesen adding the Shredded Wheat line now operates four combination metal detection and checkweighing systems as part of a significant packaging system upgrade it purchased via Abbey Packaging Equipment Inc., though a fifth unit was placed on another product packaging line. A Baldor motor powers conveyors that move product through the Anritsu SSV Series combination checkweigher/metal detection systems. 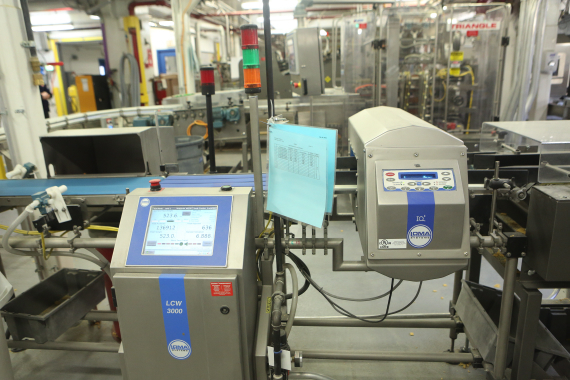 After passing through a LOMA Systems IQ³ metal detection system, product passed over an LCW 3000 checkweigher, with reject packs blown into a cavity (left) for an additional quality check by plant food safety inspectors. “Abbey Packaging came highly recommended to us based on their service record from other contacts within the food industry,” relates Friesen. “They have a willingness to work towards the optimal solution, and that’s just what we needed. 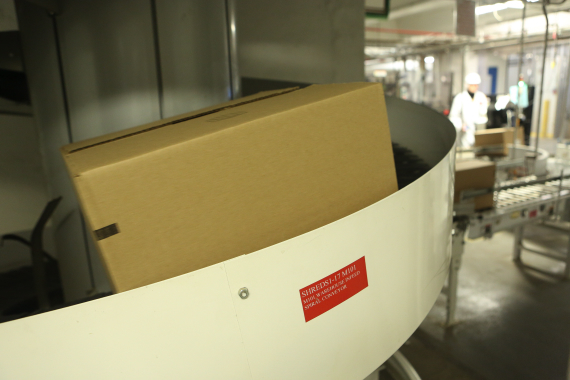 A sealed corrugated case filled with breakfast cereal products makes its way up around the bend of a Ryson spiral conveyor to the palletizing area of the facility. Headquartered in Burlington, Ont., Abbey Packaging is a complete sales and service provider for a select group of specialized equipment manufacturers—providing solutions for product inspection, weighing and filling, horizontal/vertical pouch machines and bagmakers, and highly knowledgeable, professional local technical support services. According to Friesen, the recommendations provided by Abbey Pack­aging echoed Post’s own requirements, prompting the purchase of an SSV Series Checkweigher combination of checkweighers and metal detectors. 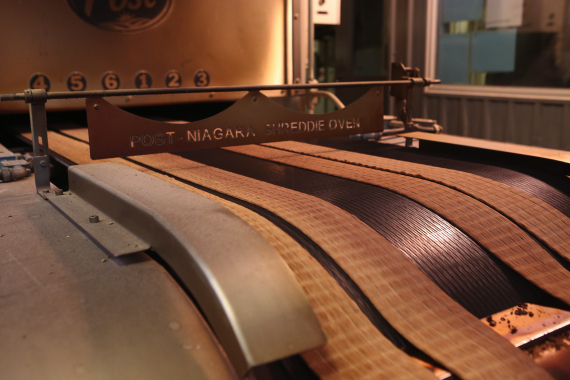 Freshly baked Shreddies move out of one of the ovens from the Niagara Falls facility’s all processing area on the second floor. Anritsu offers three different solutions under its SSV Series Checkweigher line—the Versatile; Wash-down; and High Accuracy systems, all with an available combination unit featuring an integrated Anritsu metal detector. There are more than 150 standard Checkweigher models in the Anritsu catalog and more than 70,000 installed systems operating around the globe, according to the company. 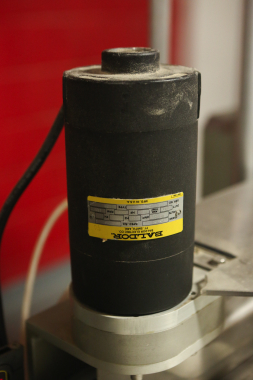 The real challenge for Abbey Packaging wasn’t in just selling the appropriate machinery, but incorporating it into the very limited space at the Post Foods facility, where the existing metal detector conveyor line was located. “We chose to go with the combination system because it is more effective to approach consumer complaints by eliminating the consumer complaints before they happen,” explains Friesen. “Historically, one of the leading complaints we received on Shredded Wheat was that customers were missing biscuits in the package, even though the packages still met the declared weight,” he relates. 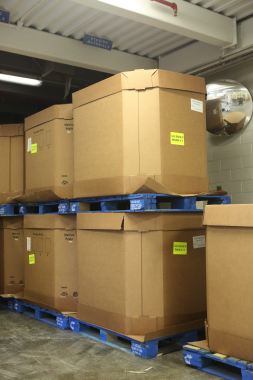 Friesen notes that prior to this project with Abbey Packaging, Post Foods had always deployed its checkweighers at the end of the packaging system to guarantee regulatory compliance, but it sought an improvement to avoid future customer complaints. Super-sized corrugated tote cases containing granola are skidded atop the signature-blue CHEP pallets awaiting further processing. 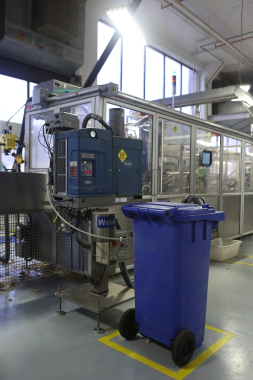 Traditionally, a vision inspection system on the wrapper infeed would be used for inspection of missing items, but both Abbey Packaging and Post Foods agreed that this approach was not reliable enough. 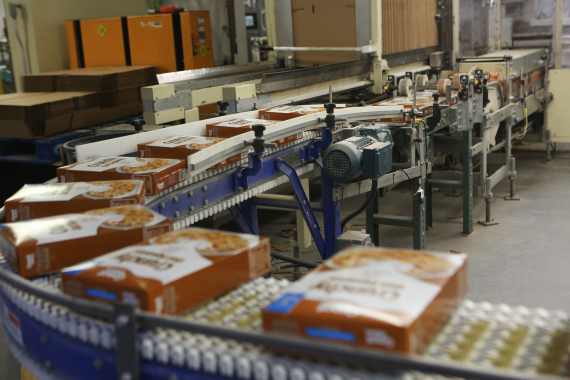 To resolve the problem, Abbey Packaging in­stalled intermediate checkweighing systems immediately after the Shredded Wheat biscuits were wrapped to verify individual package count. 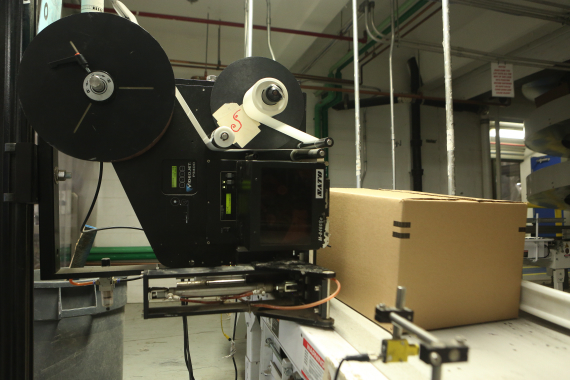 A Videojet P3400 label printer-applicator system utilizing a SATO M-8640Se print engine applies product identification labels to corrugated cartons. As Friesen explains, “We selected the Anritsu SSV Versatile Series combination systems from Abbey Packaging as they were the only vendor able to meet our tight footprint requirements and they came highly recommended from an aftersale perspective. 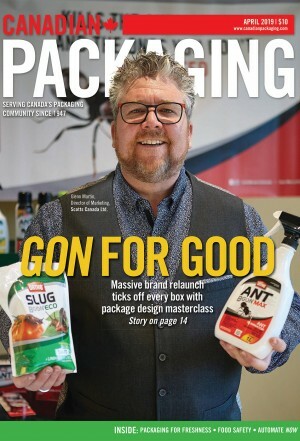 “The Anritus systems we purchased from Abbey Packaging fit my existing line layout and reduced the cost to retrofit compared to the competition. “Along with wanting our equipment to be capable of working at our high level of expectations, we also felt it was imperative that we also maintain high-quality local service, and Abbey Packaging was able to bring all of that to the table for us,” he adds. Post Foods’ new SSV Versatile model KDS5206BP3D has a stainless-steel finish with integrated Anritsu Dual Wave (duw) metal detection unit, and dual flipper reject system with a lockable reject bin and reject confirmation. Adds Abbey Packaging technical sales representative Andrej Bagrincev: “Only Anritsu was able to offer a combination unit with a double flip-arm reject system that did not require any major rebuild of the production line. 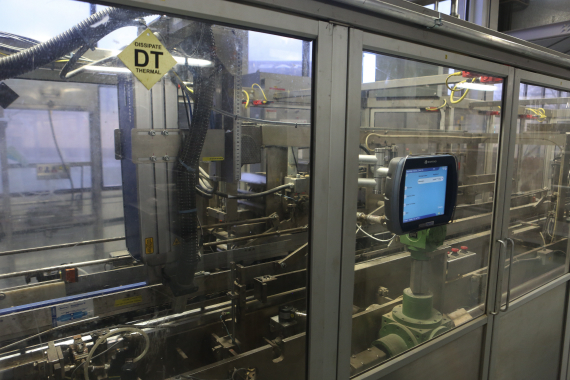 In order to meet Post Foods’ HACCP reporting requirements, a networkable software package for plant-wide data collection from Anritsu was implemented. This software package, known as QUICCA, is a powerful tool for overall quality management, control and reporting. The first four stainless-steel SSV Versatile systems sold to Post Foods utilized Anritsu’s duw dual frequency metal detection heads, while for the second project, a fifth SSV Versatile combination system featured the duw-h high-sensitivity dual-frequency metal detection head. Bagrincev explains that the Anritsu duw series of metal detectors actually runs two electromagnetic frequencies simultaneously—one is tuned for detection of ferrous metals, and the second frequency is optimized for stainless steel detection—and is the only company to offer this technology. 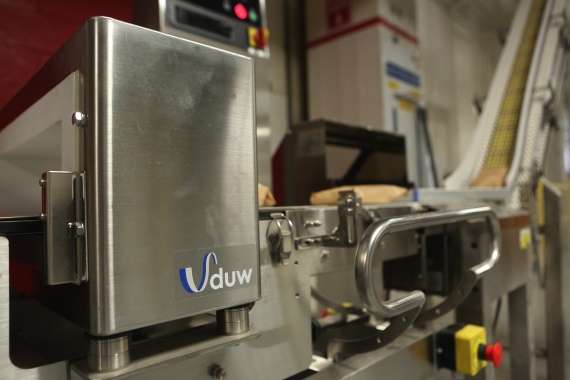 “It’s a unique approach that provides the user with essentially two metal detectors in one, offering the best performance for both ferrous and stainless-steel,” notes Bagrinvec, adding that the duw-h series owes its higher sensitivity to improved signal processing and a new head design that allows for optimal contaminant detection. “When combined with the Anritsu Checkweigher, it provides a very compact inspection solution without sacrificing functionality or reliability,” he says. 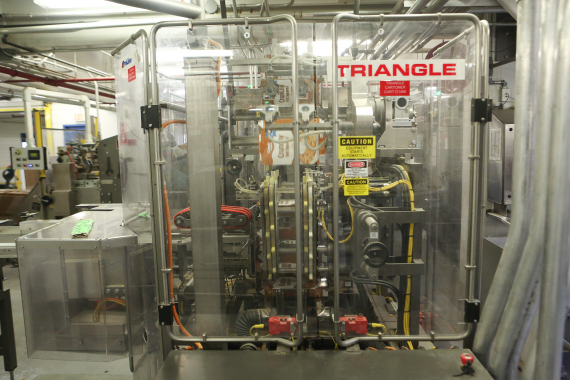 A Triangle Package Machinery cartoner at the Post Foods facility in Niagara Falls. 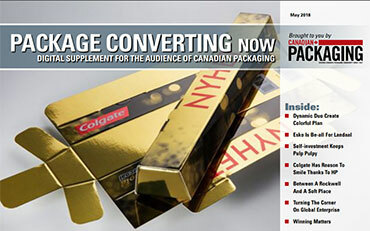 Stretchwrappers from both Wulftec In­ter­national and Orion Packaging Systems. A Domino laser coder on a cartoner manufactured by Bosch Packaging Technology, the latter distributed in Canada by Charles Downer and Co.
As for the mutually, beneficial working relationship developed between Post and Abbey Packaging, Friesen sums up by saying he hopes it continues to move forward. “I am currently scoping out two new systems for a future installation with them, and if all goes as well as the previous projects, I’m confident we’ll continue to work together on new projects.